Now that we’re wrapping up our work on the major rooms in our home, it’s time to focus on organizing cleaning supplies. This is Day 23 in a free 30-day home organizing series. If you haven’t been following along, here’s the series overview with links to previous days’ missions. Now let’s ROCK by organizing cleaning supplies to make them easier to use. 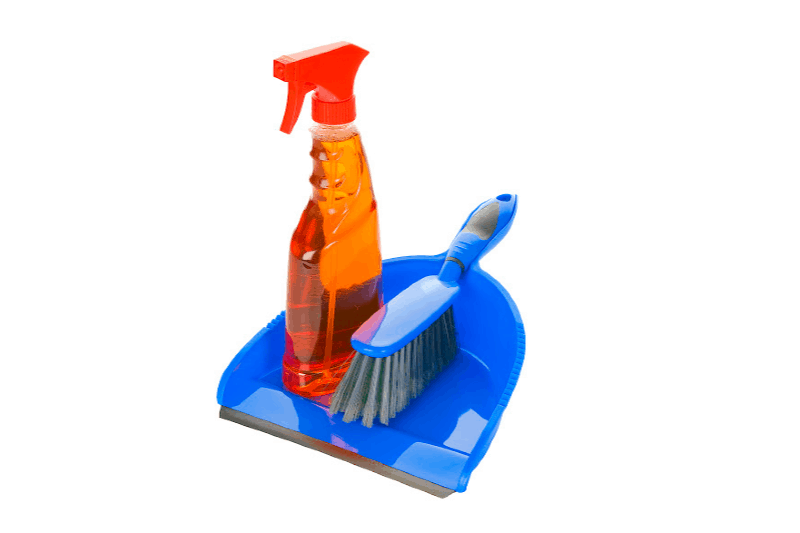 Removing clutter includes keeping our cleaning supplies and tools pared down to those we find effective and easy to use. After all, even the most expensive vacuum cleaner leaves our floors dirty if we hate using it so much that we put off vacuuming. 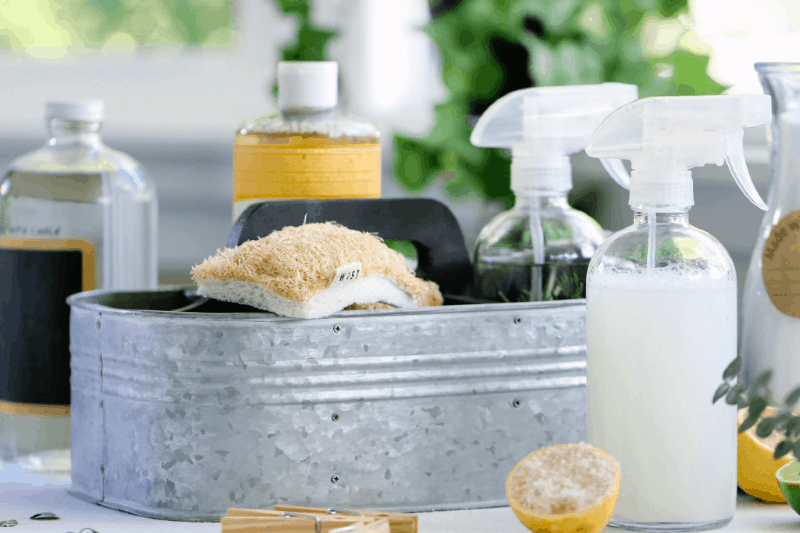 If you’ve found your cleaning arsenal isn’t as helpful as you’d like, check out my list of recommended cleaning products and tools for the things I use in my home. *SAFETY NOTE: Please be responsible when disposing of cleaning products. It is always best to give things away to a friend, a homeless shelter, or a local charity. If you can’t find a home for it, dispose of it as follows. Products you combine with water can be flushed or dumped down the drain if absolutely necessary. If it’s a solid product (e.g., wipes, stain sticks), put it in the trash. Spray products and certain other cleaners (e.g., oven cleaners, drain openers) should be taken to your local waste disposal facility. DO NOT COMBINE PRODUCTS, EVEN WHILE FLUSHING! 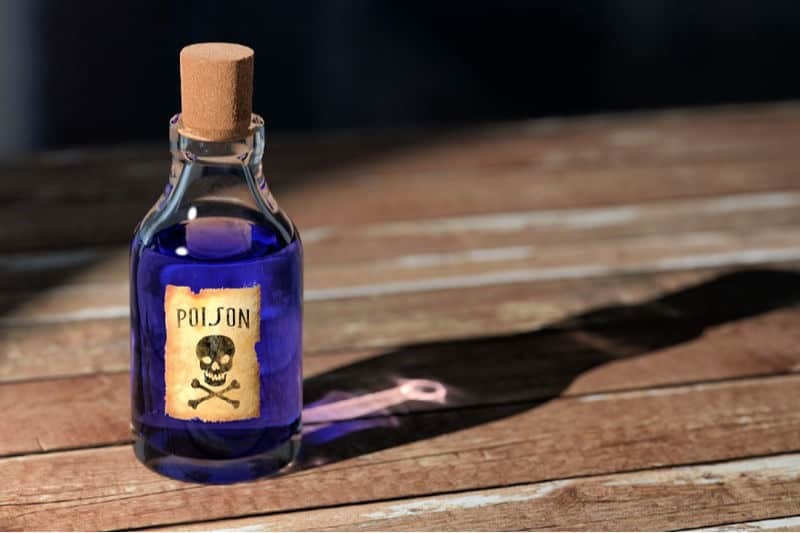 The combination of some household cleaners can be lethal, even if you can’t smell the toxic compound they create. Organizing cleaning supplies makes it easier to find the cleaner or gadget you need, along with other things you need along with it. Of course, you should always store cleaning supplies out of the reach of children and pets. That’s why many people keep a separate cleaning caddy in each bathroom, and another under the kitchen sink or in a cleaning closet. 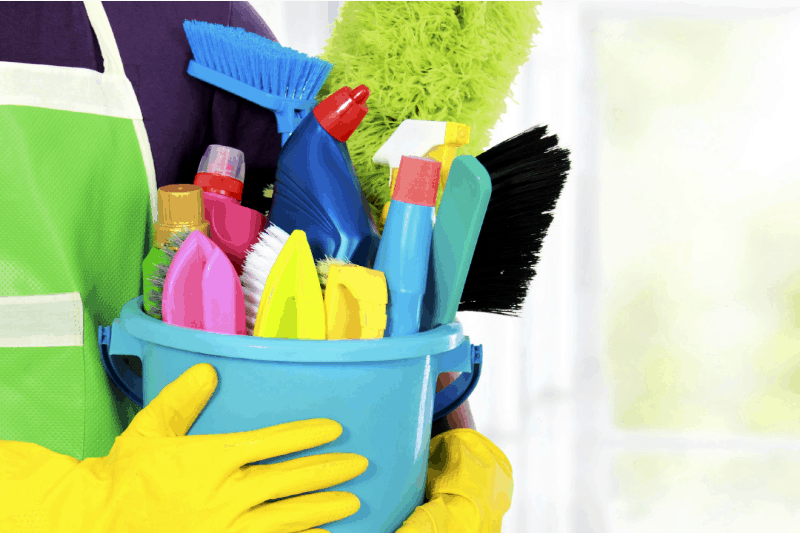 Even with cleaning supplies stashed in different rooms, though, you’ll still wind up going to the cleaning closet for your vacuum, broom, and mop. So keep those cleaning caddies pared down to the essentials! Obviously, your cleaning closet can get a bit crowded if you’re not careful. Using a wall-mounted organizer rack keeps things like mops and brooms neat and off of the floor. Cleaning your cleaning supplies and tools sounds a bit redundant, doesn’t it? Yet it’s essential to keep them in good shape, or they’ll just drag dirt and germs from one room to the next. At the end of each cleaning session, give your spray bottles a good wipe with a clean cloth. Launder your microfiber cloths properly after use, and rinse your mops, brooms, scrub brushes, and sponges every time, too. Don’t forget to clean your vacuum cleaner regularly. Once every couple of weeks, be sure to vacuum or sweep then mop the floor of your cleaning closet, too. Keeping it clean is an important step in this series. We’re not just organizing our homes and cleaning, we’re learning to break the clean/clutter cycle. That’s exactly the purpose of this step, so don’t skip it! Now, we are not re-cleaning areas; we are resetting them so they remain clutter-free and tidy throughout the week. Taking the 10-15 minutes each day to do the daily cleaning routine means that weekly cleanings (which we did on Day 14 and Day 21) go super fast. So, grab that checklist and get on it. You’ll be so happy with the change it makes in your home once you get in the habit of doing a daily whole house tidy! 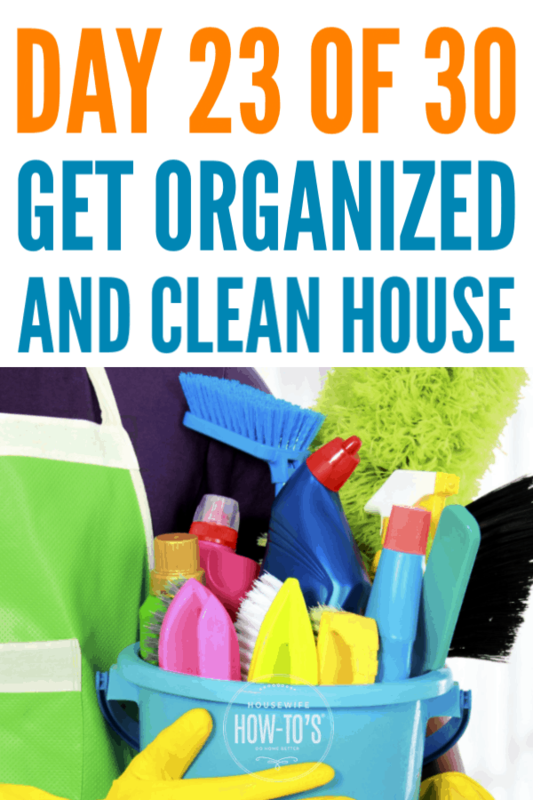 Once you’re done organizing cleaning supplies and your cleaning closet, come join our Do Home Better Group on Facebook and show off your progress!